Planning a family getaway to Universal Orlando? Here are 5 reasons to stay at Universal’s Cabana Bay Beach Resort in Orlando, Florida. Recently my family was invited by Loews Hotels at Universal Orlando for a two-night staycation at Universal’s Cabana Bay Beach Resort. When I received the email I literally squealed with delight— in all the years we’ve visited Orlando we had never stayed on Universal property! For a long while that had to do with my daughter being too young for the Universal theme parks, but now that she’s a teen, the tables have turned. Needless to say, we have a lot of exploring to do at Universal Orlando to make up for lost time! Cabana Bay Beach Resort is considered a value hotel by Universal Orlando — but I have to tell you, it’s pretty spectacular for being a “value resort”. 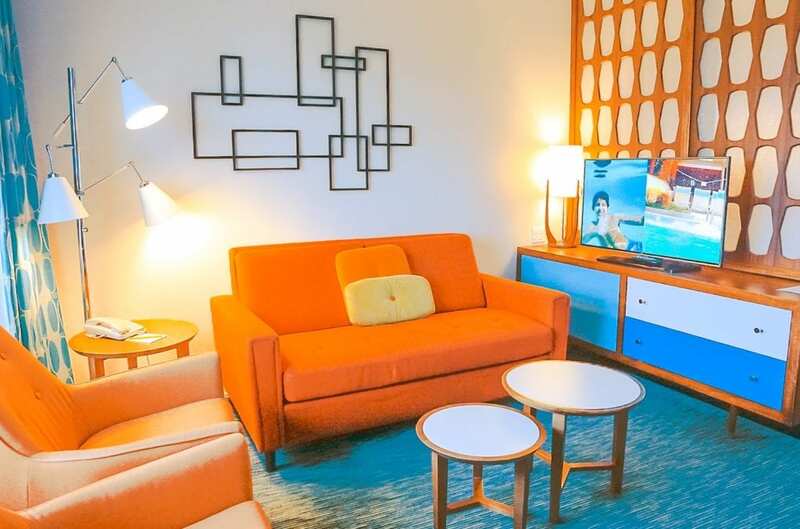 Located right in the middle of all the action, Cabana Bay Beach Resort is a prime hotel for families visiting the Universal theme parks, which currently make up Universal Studios, Islands of Adventure and Volcano Bay water park. 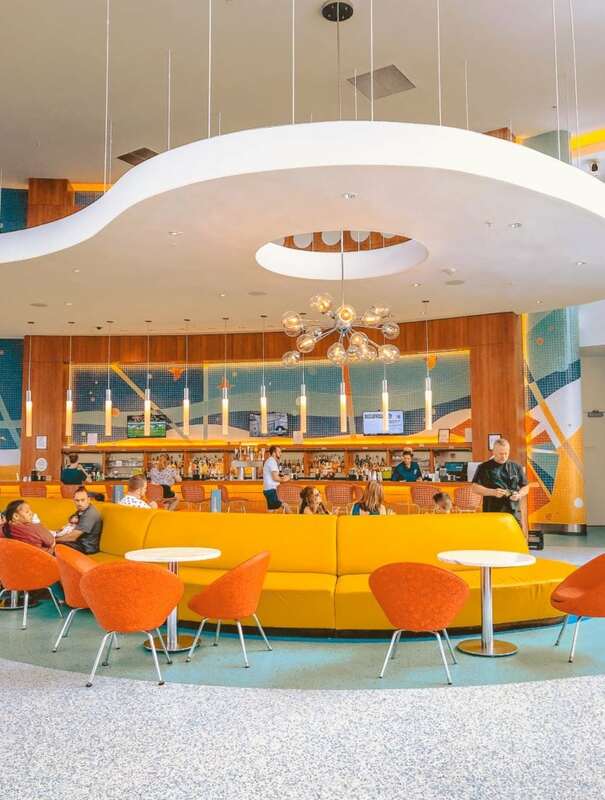 From the moment you enter the resort, you’re taken back to the 50s and 60s in a fun, nostalgic way. 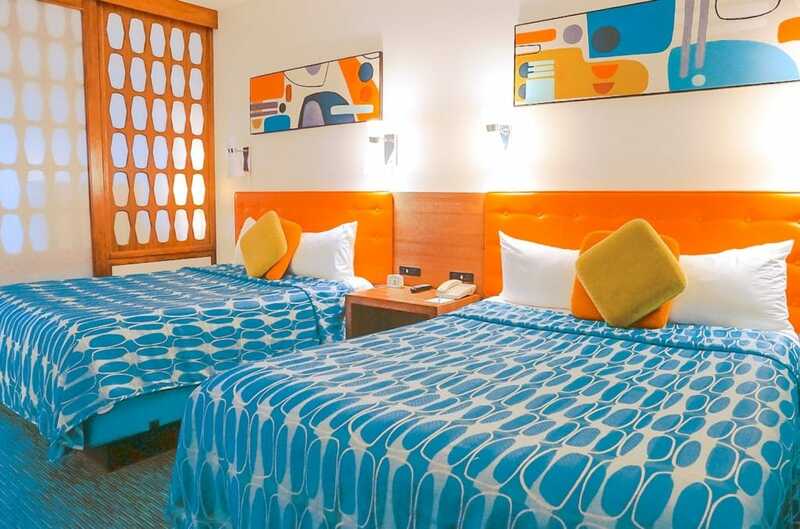 The theming is 100% on point from the vibrant public spaces down to the retro-inspired guest rooms and suites. 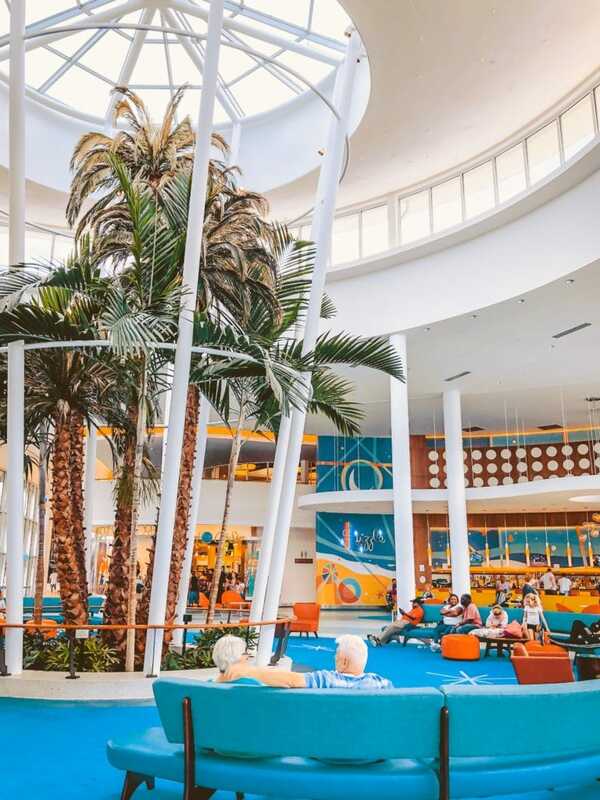 If you need solid reasons to consider Cabana Bay Beach Resort for your next Orlando staycation (or vacation…for my readers out of state! ), here are five things my family adored about the resort. We were lucky enough to have been hosted in one of the Cabana Bay family suites, which sleeps up to six guests. That’s basically unheard of as most Orlando resorts require two rooms for families of 5 or more. My family of three found there was plenty of space, as my husband and I each took our own queen-sized bed (a true luxury!) and my daughter slept on the pull-out sofa. The split bathroom was also convenient for getting ready in the a.m. and p.m. We also loved the retro VO5 shampoo and conditioner and Zest soap amenities. 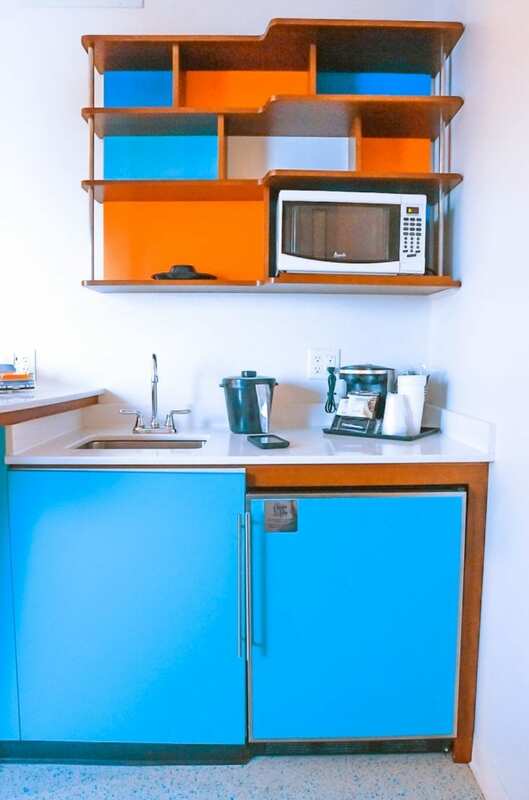 My favorite element in the family suite was the kitchenette with microwave, sink, mini-fridge and coffee maker. While we only stayed for 2-nights, it’s nice to have the option to keep bottled water, juice/soda and perishable snacks cold — had we planned ahead, we would have brought some light breakfast items to eat in the morning. The kitchenette is a great way for families to save money while staying on property. Since it had been so long since we had visited Islands of Adventure, we took advantage of early park admission to the Wizarding World of Harry Potter as guests of Cabana Bay Beach Resort. This 1-hour pre-park opening time block is pretty sweet considering how popular the Harry Potter attractions are. 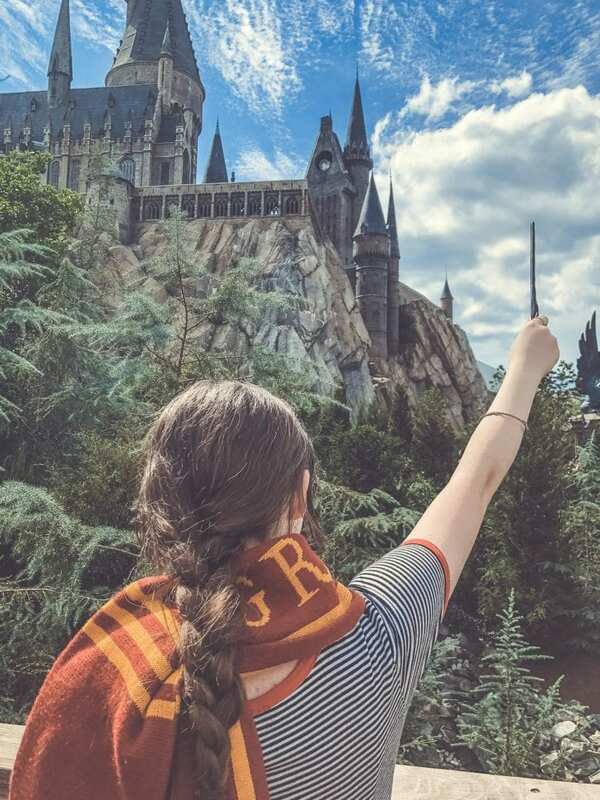 I know there is more to Islands of Adventure than the Wizarding World, but we found that’s where we spent the majority of our time (We’re Potterheads, after all). 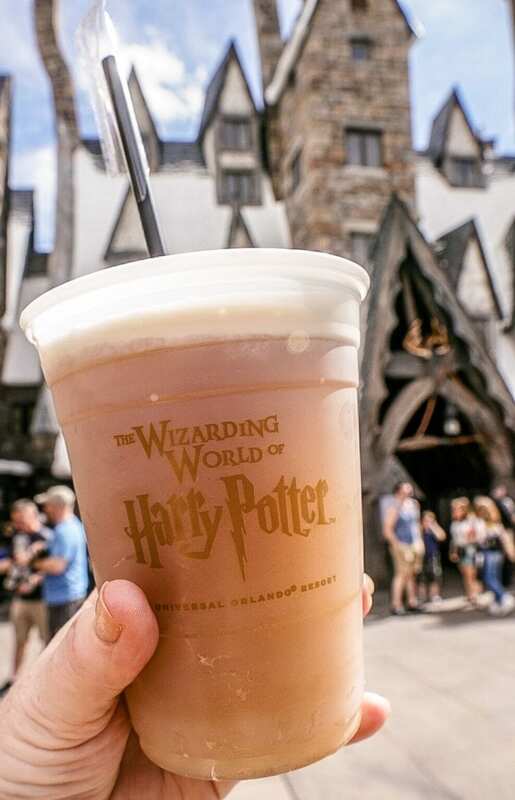 → Do not hesitate to purchase the 2-Park -1-Day ticket just so you can ride the Hogwarts Express to Diagon Alley at Universal Studios from Hogsmeade at Islands of Adventure (or vice versa). This was one of the highlights of our park visit and makes the Wizarding World experience practically seamless. → The Universal Express Pass is EVERYTHING if you hate waiting in lines for attractions. Just get it…it’s worth the upgrade. Cabana Bay Beach Resort is so close to Volcano Bay that it has its own dedicated entrance for resort guests that’s accessible by room key. A pretty cool perk! My family had grand plans of spending an afternoon at Volcano Bay but we just didn’t have the time (or energy!) after two days of Universal Studios and Islands of Adventure. 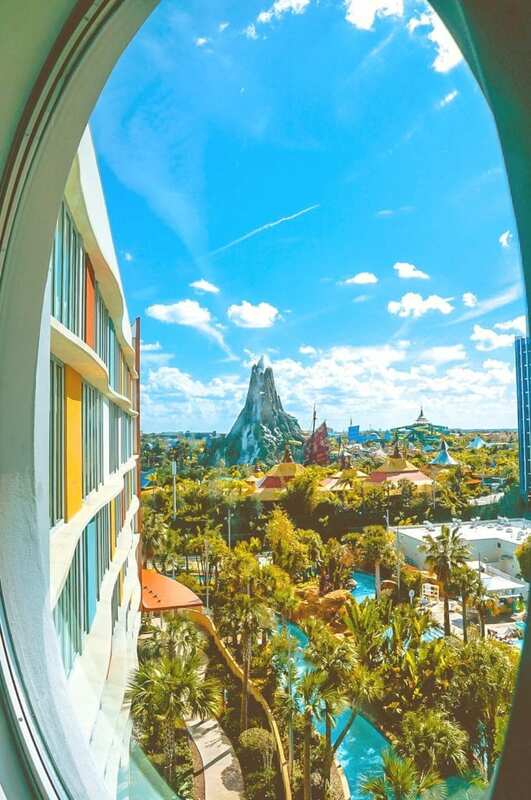 I assure you, Volcano Bay looks incredible even from just the views from Cabana Bay…you can’t miss the epic volcano! I suggest booking at least three nights if you want to check out all the Universal theme parks. In the future, we will visit with the sole intention of exploring Volcano Bay because it looked like so much fun. I mentioned that Cabana Bay is right in the middle of all the action, and it truly is. Guests of Cabana Bay Beach Resort have access to free shuttles that go back and forth to Universal CityWalk, which leads to the entrances of both Universal Studios and Islands of Adventure. We took the shuttles multiple times and never waited more than 5 minutes! If you prefer to walk, there’s a garden walking path that will take you to Universal CityWalk in about 15 minutes. You can also take this path to Loews Sapphire Falls Resort and then hop on the free water taxi to Universal CityWalk. → Loews Sapphire Falls Resort, which is right across the street from Cabana Bay Beach Resort, has a Caribbean Carnaval Dinner Show every Friday evening that’s fun for the whole family. 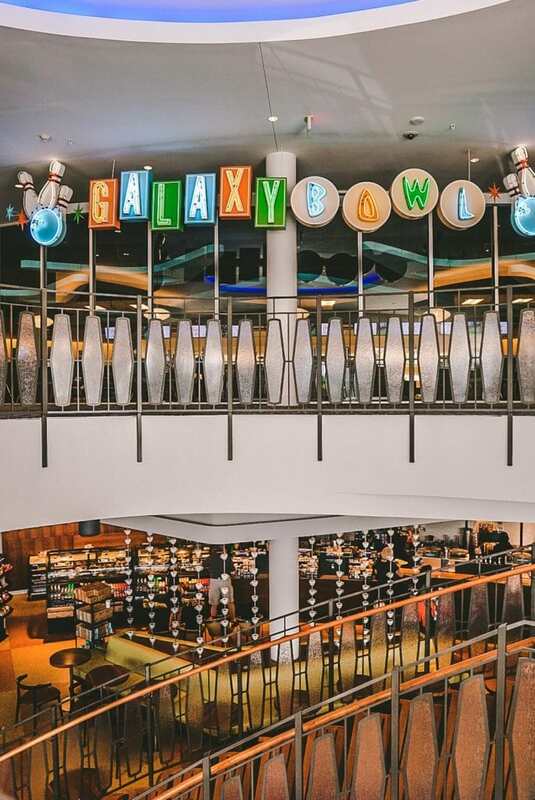 I don’t know that I’ve ever stayed at a resort with a bowling alley, which is why I was super impressed with Galaxy Bowl at Cabana Bay Beach Resort. There are 10 lanes right on-site, and you can even enjoy a meal while your family bowls! The recreation at Cabana Bay is unparallel to other resorts in the area. 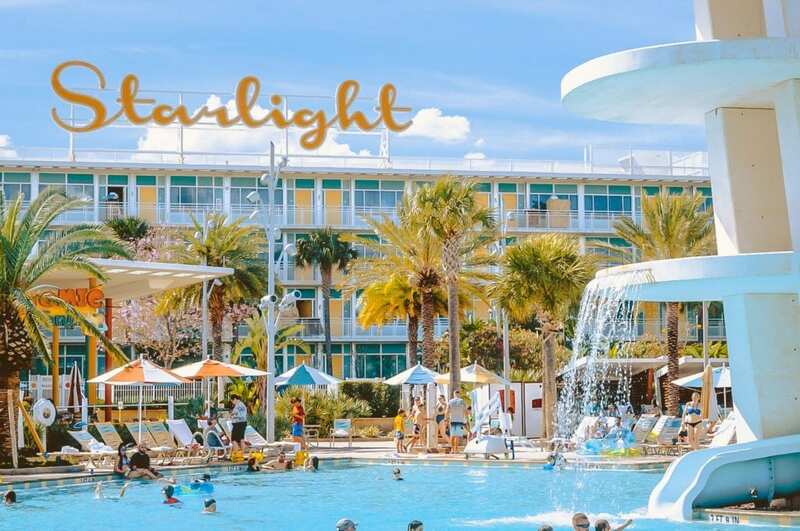 It has to be mentioned that the resort also has two zero-entry swimming pools, an iconic dive tower water slide and a lazy river with waterfalls and cannons. You really don’t have to leave the property to have an amazing time. → If you’re a Florida resident, you can find the best deals on Universal Orlando resorts here. Cabana Bay Beach Resort may have been our first stay at a Universal Orlando resort, but it certainly won’t be our last!